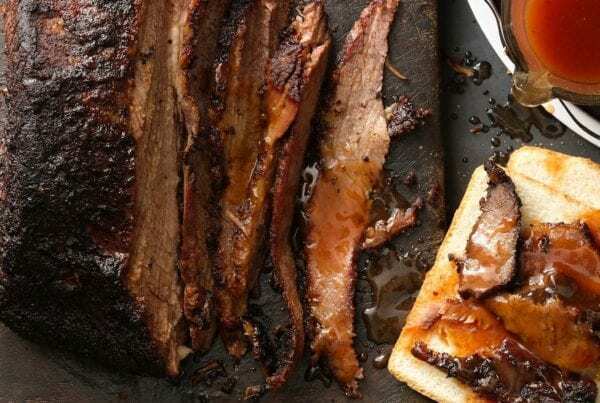 This Texas beef brisket recipe is divine served alone, on a sandwich, or Tex-Mex style in grilled tortillas with rice and beans. 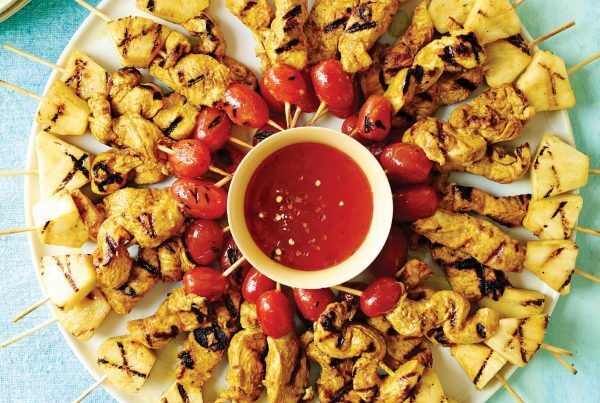 Add a spicy sauce and you have a match made in BBQ heaven. 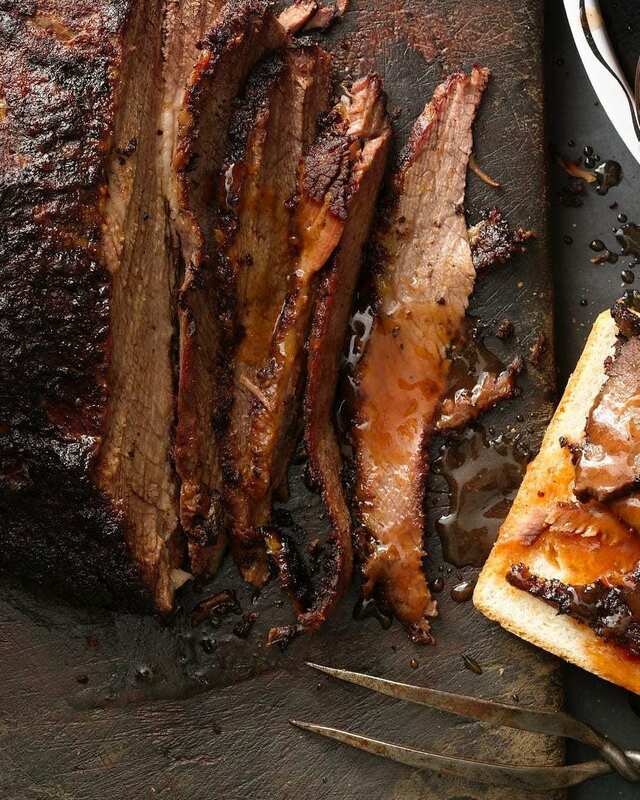 Texas beef brisket recipes are like anything good in life, they take time. 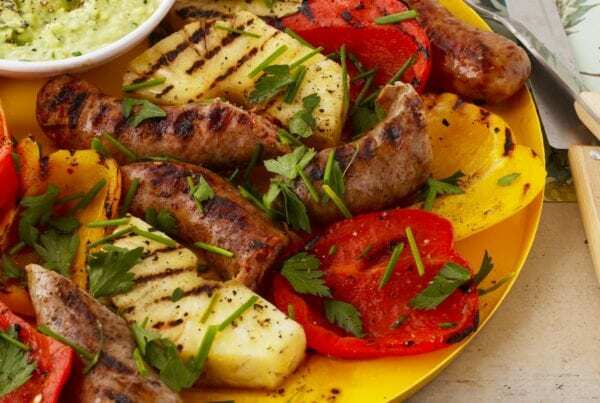 It’s the perfect summer recipe to put on the BBQ, smoke it low and slow, then enjoy with a slice of soft white bread. 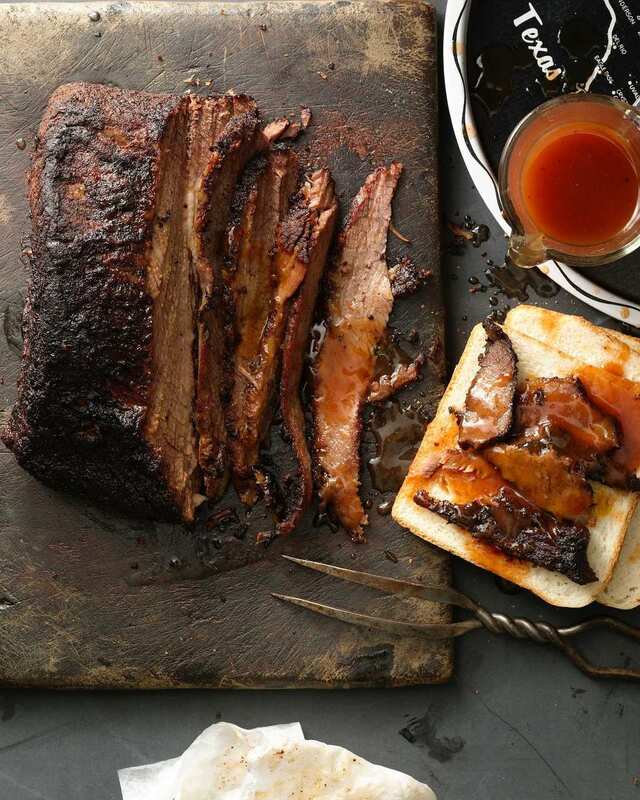 The key to this Texas beef brisket recipe is to pick a good brisket. Brisket comes from beef breast meat and is a naturally tough cut. Those cows walk on all fours, so any meat around those strong legs will be tough–but with the right method of long and slow cooking a beef brisket has tenderness like none other. This Texas beef brisket recipe takes a tough cut of meat and turns it into a tender, melt-in-your-mouth BBQ dinner. How to buy a beef brisket. The biggest decision you’ll have to make at the meat counter is whether to get a flat cut or point cut. So let me help by explaining the differences. Point cuts come to a point at the end and tend to have more fat running through them. They work great if you’re planning on shredding the meat when you finish cooking. Flat cuts are the more lean cut and are great for slicing after cooking. Planning for a crowd? 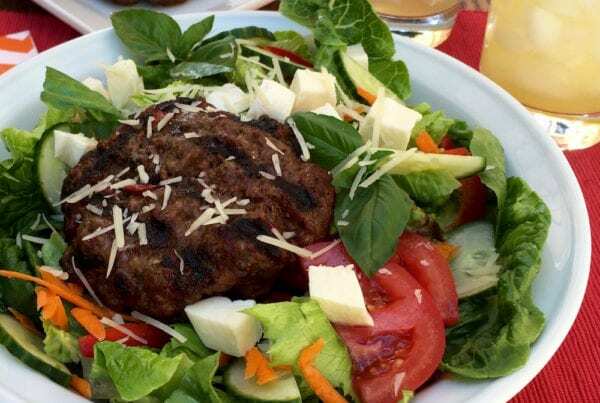 It’s recommended that you buy a half a pound of meat per person for serving. The meat shrinks and you’ll end up with less but it will feed the crowd. That’s just a good way to calculate it. How to make beef brisket at home. 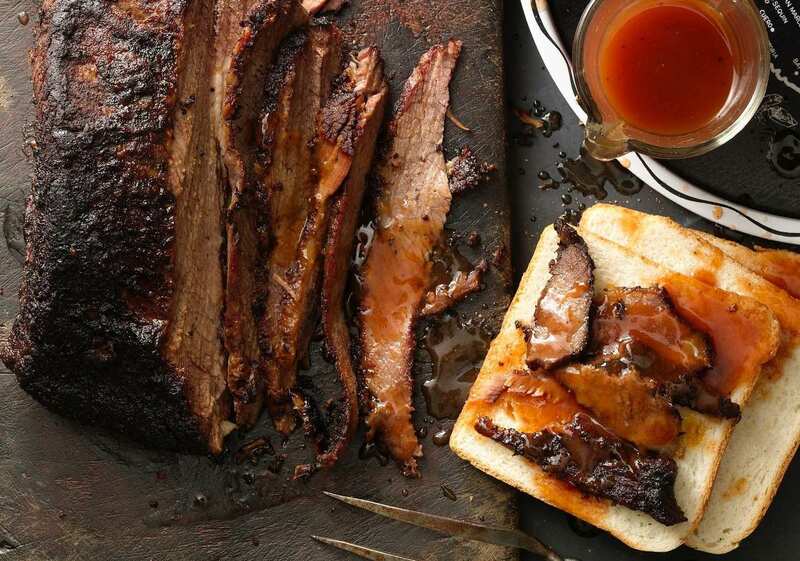 There are two popular methods to cooking a brisket. Texas style means that you smoke the meat for a long period of time. Braised brisket is another popular option, which involves cooking at a low temperature, and because it’s usually cooked with vegetables, absorbs the moisture from them. Don’t have a smoker at home? No worries! 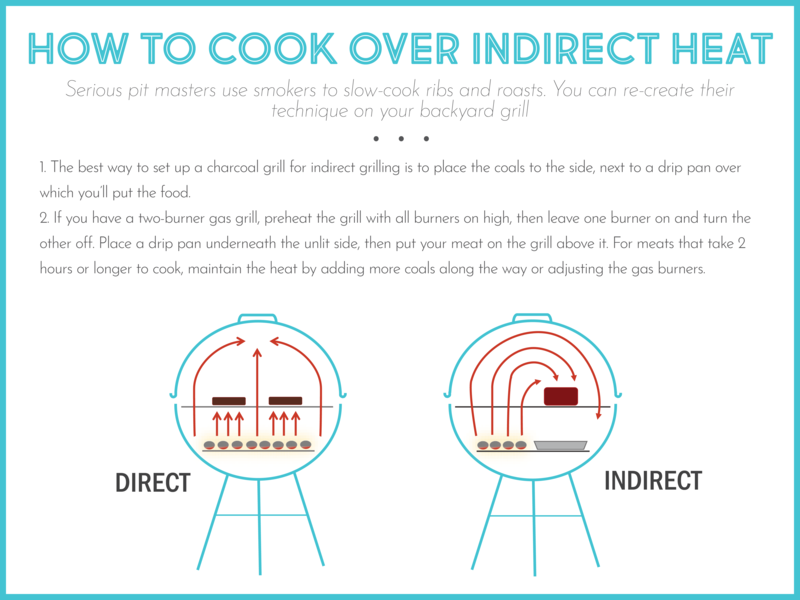 Checkout this tip on how to cook with indirect heat using your regular gas or charcoal grill. 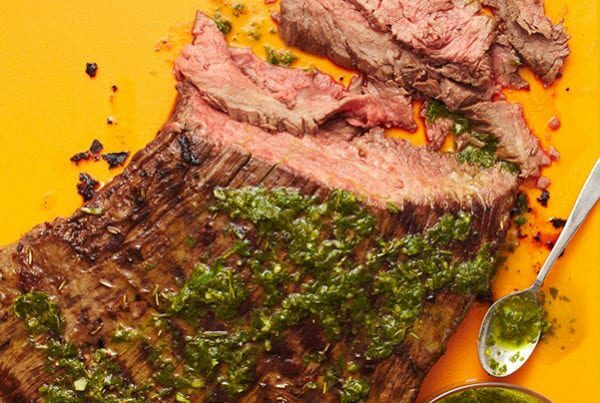 The perfect sauce for homemade beef brisket. Start with my yummy Mop Sauce and add ketchup, Worcestershire, honey and some of the extra Terrific 10 Rub and you get the perfect spicy sauce to go with beef brisket. Let brisket stand at room temperature 1 hr. Rub all over with 3 tbsp of the rub and place fat-side up in an aluminum pan. Cover pan with foil. Heat grill to medium low (250°F) for indirect cooking. Place brisket in the covered pan on grill away from heat. Cover grill and cook 1 hr. Remove foil cover and add smoker box or wood chips to the grill. Cover grill and cook until brisket is tender, 2 to 3 hr more. Allow brisket to rest, covered, for 15 min before slicing. Stir together Mop Sauce, ketchup, Worcestershire, honey, and 1 1/2 tsp extra rub and serve with brisket. My brisket is divine served alone, on a sandwich, or Tex-Mex style in grilled tortillas with rice and beans. 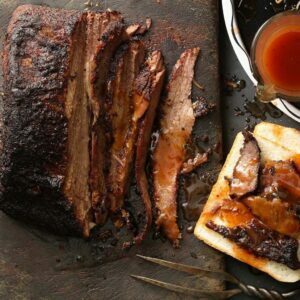 Pin this Texas Beef Brisket Recipe! Recipe by Tara Teaspoon. Words by Brittany Smart. Originally published in LHJ July 2011. Photography by Romulo Yanes. Food Styling Victoria Granoff. Yum!! Brisket is SO GOOD. Can’t wait to make this for my family and impress them with my “smoking” skills now I know how to cook over indirect heat using a normal grill! This brisket is amazing! Love to have you teach me great skills. Thank you!